It was produced by AJ+, Al Jazeera’s new digital channel, geared towards millennials. Japan’s Peace Constitution was a great achievement in its time. However, with Prime Minister Shinzo Abe pushing for constitutional reform, a reinterpretation of Article 9 under the broad idea of collective self-defense, and seemingly gung ho to drag Japan into war so it flex its military might —that pacifist era and constitution may disappear. 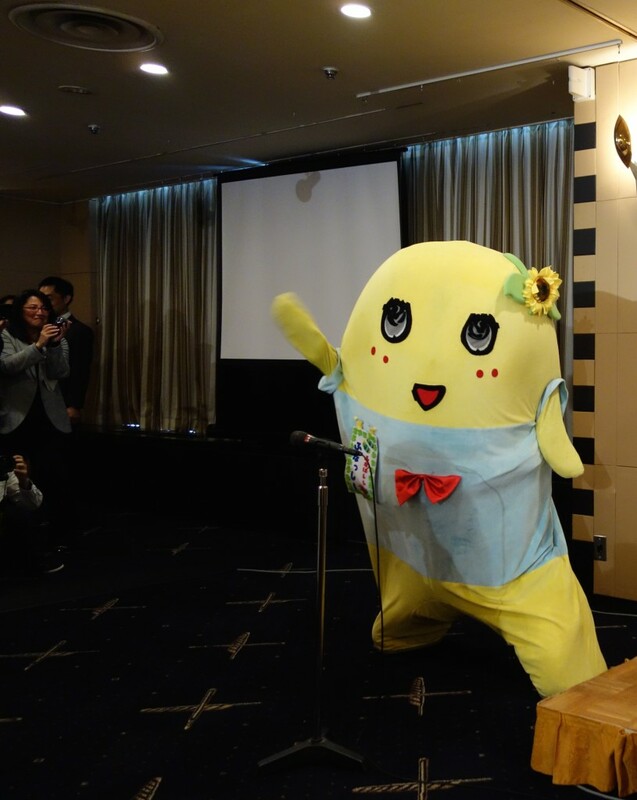 Even Japan’s beloved pacifist pear fairy mascot, Funassyi seems concerned about the direction the nation is heading. “Funassyi-chan, How do you feel about getting rid of Japan’s peace constitution? Later appears to flash the peace sign. Hard to tell because pear fairies don’t have fingers. Prime Minister Abe has made the remilitarisation of Japan and the scrapping of Article 9 and “America’s imposed democratic constitution” a part of his political agenda for a long. While it’s clear that GHQ had a heavy hand in drafting Japan’s constitution, it was not done without the aid and input of the Japanese people and the Japanese government. The creation of Japan’s modern constitution was more of a collaborative effort than was believed. Judging from Shinzo Abe’s writings and hand-selected ministers, he feels that Japan lost a just war, and can only regain its dignity by throwing off all the progress made since the post-war days and returning to an Imperial Constitution. Abe wants a return to a time when the chosen elite, like himself and his friends, run the country with no dissent and the racial and cultural superiority of the Japanese people is loudly proclaimed. His grandfather, whom Abe greatly admires, the yakuza linked and ‘incredibly corrupt’ former Prime Minister Kishi Nobusuke, was arrested as a war criminal after the war, but never put on trial. Kishi was Japan’s Minister of Munitions during the Second World War. Abe has allowed Japan to make and export arms again under his regime as well. In light of the threat imposed by North Korea, ISIS, and terrorist groups, I think it’s time for Japan to be able to not only defend itself from these dangers, but also take the fight to these threats. Peace can only be obtained if the country as a whole has no threat to its safety. Japan always has had the right to self-defense. The Self-Defense forces exist for that purpose. The current government wants Japan to be able to wage war without being directly attacked first. “When the Prime Minister declares war on another nation without provocation they will be the first one on the front lines” how many times do you think they would actually use that amendment?